The past three decades have seen a colossal advancement in the research and development of Engineering and Technology. 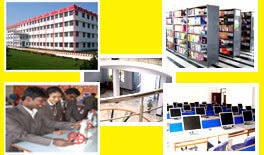 B.Tech Program is dedicated for providing best education and practical facilities to its students. A variety of computing facilities are available for our faculties’ member, students and staff. The field of engineering is considered as highly rewarding career path. As an engineer, an individual not only enjoys the satisfaction of making this world at a better place, he also gets the highest salary in the entry level position. We maintain very conducive, feel-at-home & open culture in the premises, because we believe in progressive unfoldment of the students towards becoming perfect professionals. Engineer may involve in designing, testing and evaluation of new products. There are plenty career options in the field of engineering. Fully conversant with working in computer dominated environment. B.Tech. program enriches the students with theoretical and practical skills that are required in different industries. A sound understanding of mathematical ideas is needed throughout the course, both for potential applications such as scientific computation, and for reasoning rigorously about the specification and behaviour of programs. Practical skills must also be developed, and the majority of subjects within the course are linked with practical work. B.Tech. Program has dedicated itself to provide every individual a conducive environment suitable to achieve his/her career goals with a strong emphasis on personality development and to offer academically inclined resources to gain quality education in all spheres of Engineering.